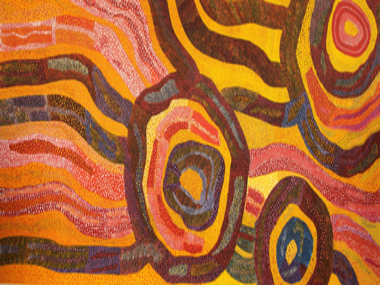 Japingka is celebrating the arrival of Spring and the associated rebirth of colour in the desert country by dedicating both of its gallery exhibition spaces to outstanding works by 12 Australian Indigenous women artists from the remote west of Australia to the far northern Queensland coast and the desert areas in between. These two remarkable Exhibitions feature some of the best and most collectable Artists along with emerging new Artist. 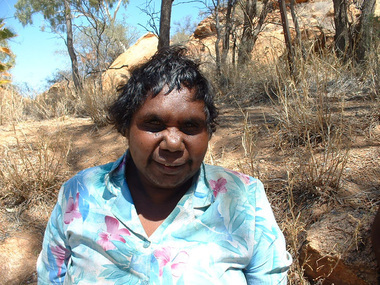 To help us celebrate the coming of Spring and the flowering of so much talent from these diverse and remote Communities, the highly regarded Utopia Artist, Anna Petyarre will be making the long trip down from the Central Desert for the official opening. Both Exhibitions will run from 3rd October through to 5th November, 2008. 1. WOMEN'S LAW – A wide ranging survey of some of the best Indigenous Women Artists painting at the moment. Featured Artists include this years Telstra Award Winning Artist, Makinti Napanangka along with recognised "greats" such as Lorna Fencer Napurrula, Walangkura Napanangka and Eubena Nampitjin. Complimenting the stunning artworks by these stars of the Indigenous Fine Art Movement, are the beautiful canvasses by emerging talents such as Samantha Hobson, Kim West Napurrula and Helen McCarthy Tyalmuty. This diverse Exhibition of Indigenous Women Artists featuring very different regional styles is a great introduction to Indigenous Fine Art as well as being one of the best Indigenous Fine Art Exhibitions in 2008. 2. ANNA PETYARRE from the Utopia region, shows her latest paintings. David Wroth, Japingka director who has recently spent time with Anna as she painted, says of her work: "Anna maintains a classic Anmatyerre style, representing her ancestral country with finely delineated structures that show the terrain of sandhills and ancient watercourses, often with additional markings that reveal waterholes and ceremonial sites. Anna is recognised for her fine technique, producing intricate and sensitive paintings that relate to her traditional culture and heritage." Anna will be attending the opening and will be painting in the Gallery as well as talking about and painting her Country over the week following the opening. These two exhibitions open on Friday, 3rd October, 2008 @ 6.30pm and will run until 5th November, 2008 and are open to the public (Admission Free) seven days a week.